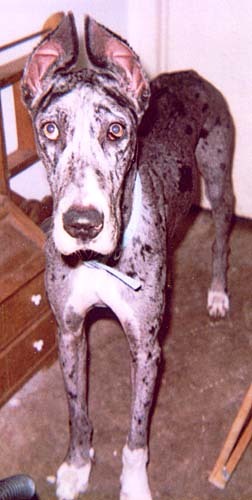 Tilly is a two and one-half year old blue merle female. She has cropped ears and tail. Very shy. Owner abandoned her at Humane Society. We're still getting to know her.